Designer Showcase is closing its door on April 30th, but don’t be alarmed, the monthly round will be back in May. [LIZ]’s Jazlyn dress is part of this month’s collection and has become one of my all-time favorites. Jazlyn is available in four colors. The sheer embroidered corset top and tiered pleated skirt work remarkably well together. Normally, when I think pleats, I think of plaid skirts and school days, but these pleats have grown up! 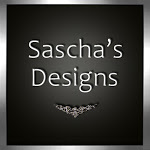 Click here to check out Designer Showcase and try on a demo. You won’t be disappointed!